Make a backup of your NVRAM/IMEI before flashing highly recommended. Permit application – superuser – Enable. 1. Click on safety labels on the desktop, then log in and switch to the right Permissions slider superuser. Perform a full reboot of the body. 2. Open WSM Tools, there will be the base modules (two numbers) and display their state (gray, red and dashes – databases are not installed! ), Click install, after installation click reboot. 3. Open WSM Tools, make sure that the base modules are connected. Go to program settings and Select repository also put a checkbox in Xposed, click apply. On the Modules tab, activate switches modules you need and restart your phone. 4. Open Mi-Tools and you make the desired settings. 5. Gravity Box Open and make the desired settings you. To illuminate the keys along with the backlight of the screen go to Settings – Auto backlight and select "always include when lit screen." I also recommend to put a checkbox in "On. Screen when connecting USB / headphone." 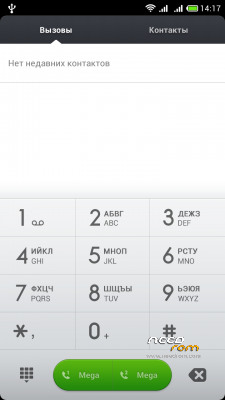 In the Settings menu, telephony – Vibrate call, you will also find very useful options. 6. After all modules settings, save a reboot! At different stages of setting WSM Tools and modules will request superuser – definitely need to solve! To avoid potential conflicts between modules, refer to the settings in the modules was not on mutually functions! thx rgsi for fast reply. Will try it soon. Hello sir……is your camera flash okay already?…i wanna try this on my thl w200s.. I just decided to leave the denial fase…. In a few days i'll be looking for a repair shop or store that might do it. Near my home, of course, cause i wont be sending it back to china… thats for sure! 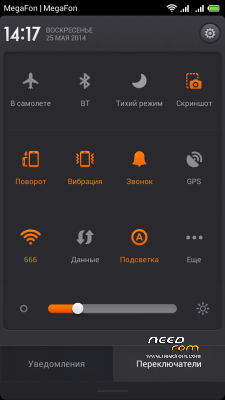 Great Rome, this system Miui I like quite well, but unfortunately not available in German! Can someone help me, that would be great. can i update it ?? ?